LG Electronics announced operating profit for the parent company overall, due to cost reduction initiatives in the quarter that ended March 31, 2011, compared to last quarter. Naturally, we are more interested in the results generated by the LG Mobile Communications Company, where all good things cell come out from. Revenue there decreased 8.9% in comparison to the first quarter of 2010, to $2.6 billion in the January-March period from handset sales. The number of cell phone units shipped also decreased year-on-year, and from the fourth quarter of 2010, down to 24.5 million units, but LG attributes this to seasonality. Operating loss for the first quarter was 3.5%, $0.09 billion, which is actually an improvement from the Q4 2010 loss of 5.1%, due to the expanding share of smartphones in the portfolio of LG Mobile Communications Company, and the reduction of overhead costs. With the launch of numerous "firsts" this year - the first dual-core Android phone, and the first 3D-enabled phone - the LG Optimus 3D, and tablet - the T-Mobile G-Slate, as well as the innovative LG Optimus Black, the company is envisioning better results in Q2 and the subsequent quarters. LG is shaping to be another one of the losers in the cell phone industry, which is slowly pulling itself by the bootstraps, thanks to a little green robot, like Motorola before, or Sony Ericsson now, and it is certainly doing it with style, and great Android handsets. Jury is out on "great handsets", but we will see. What I have noticed about LG is that their basic phones are not high quality. Most of the group I hang out with do not want to spend the money for the Smart phones, so they have just basic call/text service. The LG Envy series was very good, a whole family I know still has them in use. The Octane is okay, but the basic flips that were sold were junk, literal falling apart. 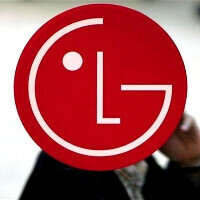 Which LG shows up for the Optimus series?